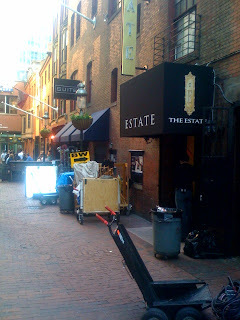 I snapped a couple of shots on the way home from work yesterday, it looks like Bride Wars was shooting in the Alley (most likely at The Estate) last night. There were trucks parked all alongside Boylston in the surrounding area. For those of you that are curious to check it out, the trucks and signs were still all set up this morning as I walked to work. 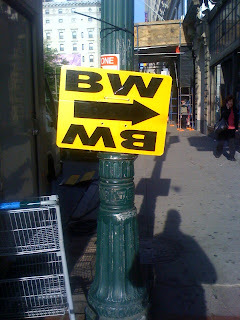 1 Response to "Bride Wars Filming In The Alley - 5/14"
Yeah, this is right near where I work. They are working in the Estate bar.